What is Healing Arizona Veterans? No, HAV collects donations and pays for treatment at provider locations in the network. There are currently two. If the demand requires it, other providers will be added to the network. Is Hyperbaric Oxygen Therapy (HBOT) approved for Traumatic Brain Injury (TBI)? Currently HBOT is not approved for TBI by Federal agencies including the Veterans Administration or other insurance agencies. Five states have approved this therapy (Arizona, Indiana, Kentucky, Oklahoma and Texas). Thirteen other states are in the process of developing similar legislation. Virtually 100% of donations will be used for veteran treatment. 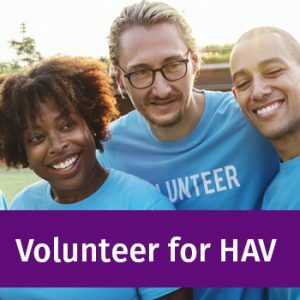 HAV has no overhead costs at present, as all Board members and staff are volunteers. Once the number of veterans treated increases, there will be overhead costs to manage the operation. 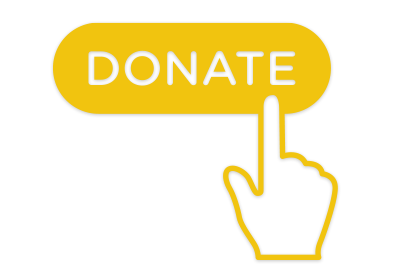 Our goal is that overhead costs not exceed 10% of donations. What type of treatments does HAV provide that is not available at the VA hospitals? For mild Traumatic Brain Injuries (mTBI) HAV provides free Hyperbaric Oxygen Therapy (HBOT) combined with a nutritional program to help the veteran to heal the injured brain. This type program is standard of care in many countries of the world but has not been approved as yet for use in our VA hospitals. It has over 40 years research backing its proven results. HBOT is treatment that is provided when a patient sits inside a chamber, under pressure typically one-half atmospheres above ambient pressure and patients breathe 100% medical oxygen. Typical treatment time spent in the chamber for recovery from TBI is one hour under pressure. Between 40 and 80 sessions are needed for full treatment depending on condition of the injury. Are other treatment programs available through HAV? Yes, HAV has developed a comprehensive network for our veterans. Whereas, HBOT is the only proven therapy to actually heal the brain in cases of TBI, but for conditions with PTSD, other proven adjunctive programs such as Neuro-bio-feedback, Acupuncture, Meditation, Equine Therapy, EMDR, Qigong, Physical conditioning, Yoga and PEMF (Pulsating Electro-Magnetic Frequency), are utilized. All programs are DRUG-FREE, have a PROVEN record of benefits and are performed by professionals with long histories of success. As a veteran, do I qualify for treatment? The qualification for treatment will be determined by our Medical Director Dr. Carol Henricks and our Board Chairman Dr. Bob Sexton. It will be based on interviews and past documentation of condition. What happens if a veteran does not get proper treatment for the healing of their TBI? Are there any long-term consequences? It has become clear with the cumulative effects of injury of NFL players that untreated TBI leads to increased risks of Dementia, Alzheimer’s disease, ALS and CTE (chronic traumatic encephalopathy). This same correlation is becoming evident in military veterans. This is why it is urgent to treat as soon as possible. You will be treated at one or the other of our network participants: NorthStar Hyperbaric, if you live in Southern Arizona or Hyperbaric Therapy of Arizona, if you live in central or northern Arizona. What is the cost of all these adjunctive therapies for veterans? All healing programs through HAV are free to qualifying veterans. I am a Vietnam veteran, will the treatment help me? The doctors at HAV will assess that. However, many Vietnam veterans have been treated successfully with HBOT.